Watch episodes from the reality TV series The Ultimate Fighter® season four. TUF 4 Ep.1 The Comeback Begins Aug 16, 2006 (42:00) 16 mixed martial artists, who have all fought and lost in the UFC®, get a chance to put their careers back on track. The winners will receive one hundred grand and a championship title fight in the welterweight and middleweight divisions of the UFC®. TUF 4 Ep.2 Blood Bath Aug 24, 2006 (42:00) Team Mojo has control and decides to mess with Team No Love, but Shonie’s carelessness jeopardizes thier strategy. And things get bloody as two middleweights step into the Octagon™. TUF 4 Ep.3 Passing Guard Aug 31, 2006 (42:00) Shonie Carter’s antics drive everybody crazy in the house. The fighters get a chance to watch UFC® 60 featuring the return of legendary Jiu-Jitsu fighter Royce Gracie vs. welterweight champion Matt Hughes. TUF 4 Ep.4 The funk Sep 7, 2006 (42:00) A fighter breaks the rules and is punished. A contagious skin infection spreads through the house. And the second middleweight elimination bout takes place. TUF 4 Ep.5 Flip-A-Coin Sep 14, 2006 (42:00) Team No Love must find a replacement for a disqualified teammate. Shonie turns the swimming pool into a recycling center. The welterweights are up for elimination. 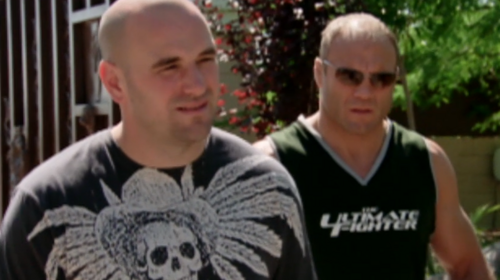 TUF 4 Ep.6 Captain Miserable Sep 21, 2006 (42:00) One of the fighters gets a special message from home. Middleweight Champion, Rich Franklin, joins the training staff and Charles McCarthy earns a new nick-name. TUF 4 Ep.7 Drop to a Knee Sep 28, 2006 (42:00) Middleweight Champion Rich Franklin offers some controversial advice. Matt “The Terror” Serra finally gets his chance to enter the Octagon™ in the last welterweight preliminary fight of the series. TUF 4 Ep.8 True Colors Oct 6, 2006 (42:00) Shonie decides to practice with the opposing team. UFC® Light Heavyweight champion Chuck Liddell joins the training staff. And Patrick Cotê faces Jorge Rivera in the final middleweight preliminary bout. TUF 4 Ep.9 Semi-Final Match-Ups Oct 12, 2006 (42:00) The remaining fighters meet with Dana and the trainers to decide the Semi-Final match-ups. The first Middleweight semi-final takes place. TUF 4 Ep.10 Carter vs Serra Oct 19, 2006 (42:00) Team No Love devises a unique way to get back at Shonie for his annoying antics. 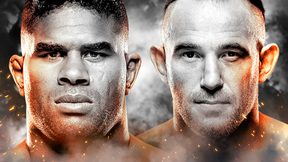 And the long awaited rematch between Matt Serra and Shonie Carter takes place to decide who will face Chris Lytle in the finale. 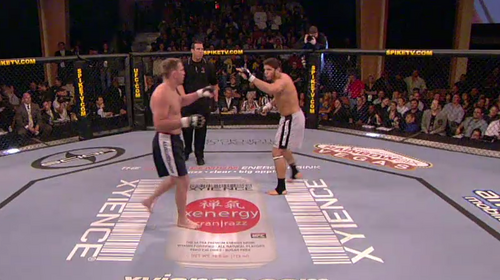 TUF 4 Ep.11 Lutter vs Sell Oct 26, 2006 (42:00) The fighters get stir crazy and take it out on the house. Travis Lutter fights Pete Sell in the first middleweight semi-final. TUF 4 Ep.12 Cote vs Dewees Nov 2, 2006 (42:00) Mikey gets some bad news. The fighters play a prank on Charles. And Edwin DeWees takes on Patrick Cotê to decide who will face Travis Lutter in the middleweight final. Travis Lutter vs. Patrick Cote TUF 4 Finale Nov 11, 2006 (15:27) In the middleweight finale, an impending clash of styles entered the Octagon as decorated BJJ blackbelt Travis with 6 of his 8 career wins by submission squared off with the heavy-handed & hard-headed Patrick “The Predator” Cote. Matt Serra vs. Chris Lytle TUF 4 Finale Nov 11, 2006 (29:25) Teammates and sparring partners on the show, BJJ blackbelt with knockout power Matt “The Terror” Serra took to the cage to battle pro boxer with savvy submission skills Chris “Lights Out” Lytle, and the winner got a shot at the UFC welterweight title. The Ultimate Fighter Season 4: Auditions Apr 7, 2015 (12:08) Check out the auditions from season 4 of The Ultimate Fighter.